Access store from Rt 29 just past Pekin prison onto Veterans drive. Take A right at first access road. Then go right at stop sign you will see Old Heritage Garden Center. 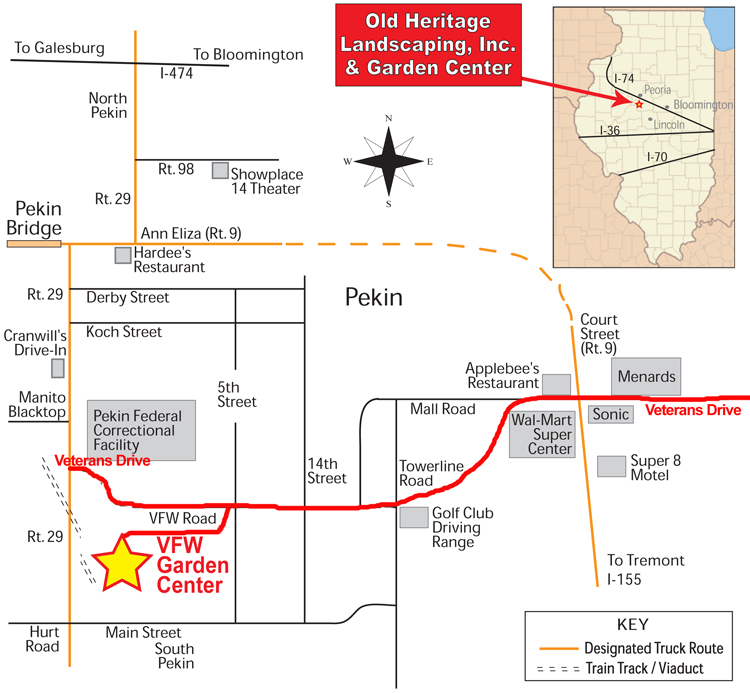 To access store from upper Veterans Drive by Court Street, take Veterans Drive West. Go past 5th Street intersection continue west turn left after you see Copart Auto Auctions on your left. Take a right at stop sign and you will see Old Heritage Garden Center.